Sometimes you just need a basic recipe that is the BEST one out there. 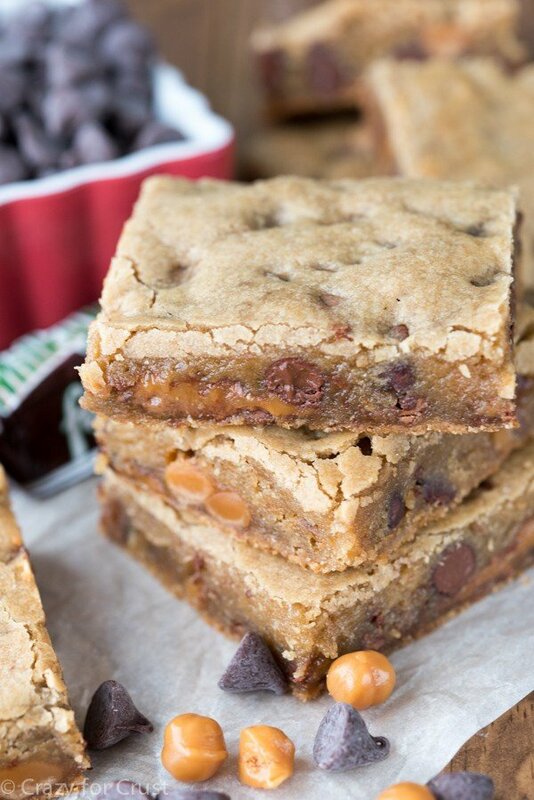 These Milky Way Blondies are that recipe. You guys, I’ve created a monster. A Taylor Swift monster. Remember how Jordan is O.B.S.E.S.S.E.D. with Miss Taylor? First there was the album. Then the concert. Then she begged for a long bob and bangs. Now? Now Jordan is planning a Taylor Swift birthday party. She’s got all the details planned: invitations, activities, outfits, and a Surprise Inside Cake with Taylor’s face inside. Her birthday is in February. Last I checked, today is October 1. It’s gonna be a long 4 months, my friends. To be honest, I’m kind of obsessed with Taylor Swift too. I love her music, her style, and her persona. I also remember my NKOTB obsession whenever Jordan says, “Mom, it would be really great if Taylor could come to my birthday party,” and since she gets what she wants most of the time I don’t think she gets that is not happening. While Jordan and her party planning is anything but basic, these blondies kind of are. But that’s okay, because we all need basic recipes once in awhile. A good base recipe can be the springboard for so many things. Like, for example, this brownie. It’s my favorite brownie recipe and it’s been turned into pie, cookies, and more brownies than I can count. Same goes with my favorite chocolate chip cookie recipe. Gooey bars, cookie cups, cupcakes, and so many chocolate chip cookie versions have come from that recipe. 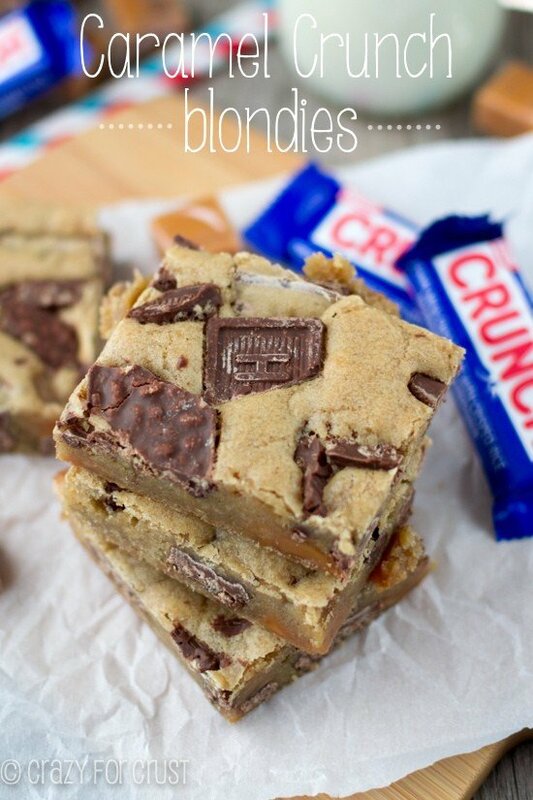 Now I’m adding Blondies to the list of basic recipes that you need in your life. I’ve shared this recipe before. I’ve used it to make basic blondies, but I’ve also turned it into pie. 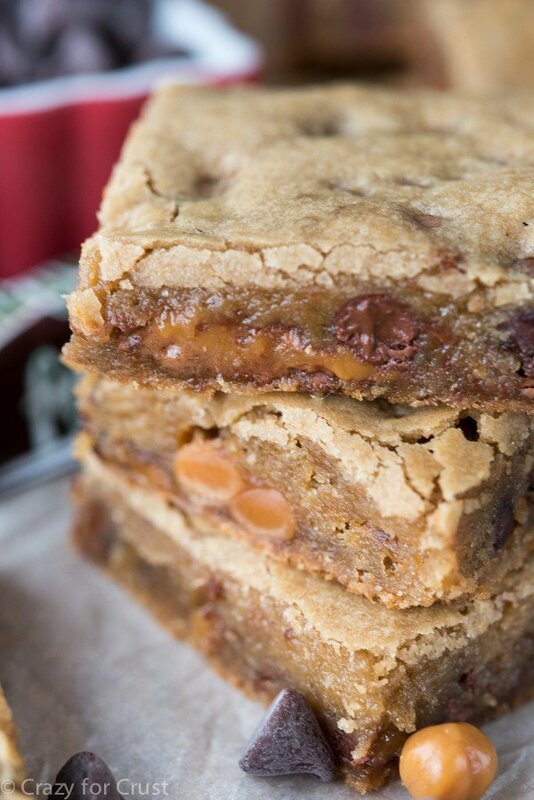 And this base recipe is what I turned into peanut butter blondies and oatmeal bars. Butter. Use real butter! One stick of unsalted butter – softened – is the base of these bars. Brown sugar. There is a FULL 2 cups of packed light brown sugar. That makes these perfectly sweet but also super soft, chewy, and rich. They stay soft for DAYS! Do not over bake them. Err on the side of under-done for these blondies. I always take them out when they are still a little jiggly in the center. They set up as they cool. If you wait until the center is done to take them out the edges will be dry. 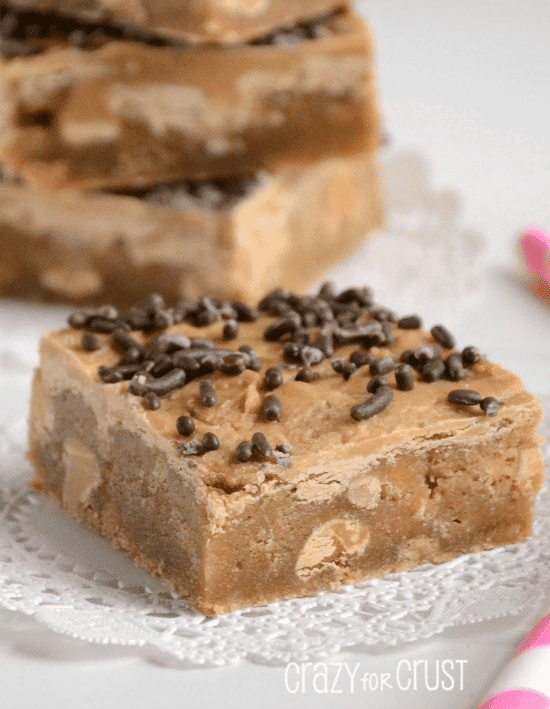 These blondies are nothing if not rich, soft, and perfect. To make these a little more special than a plain bar, I added a ton of Milky Way flavor to them in the form of caramel bits, chocolate chips, and chopped Milky Way candy bars. 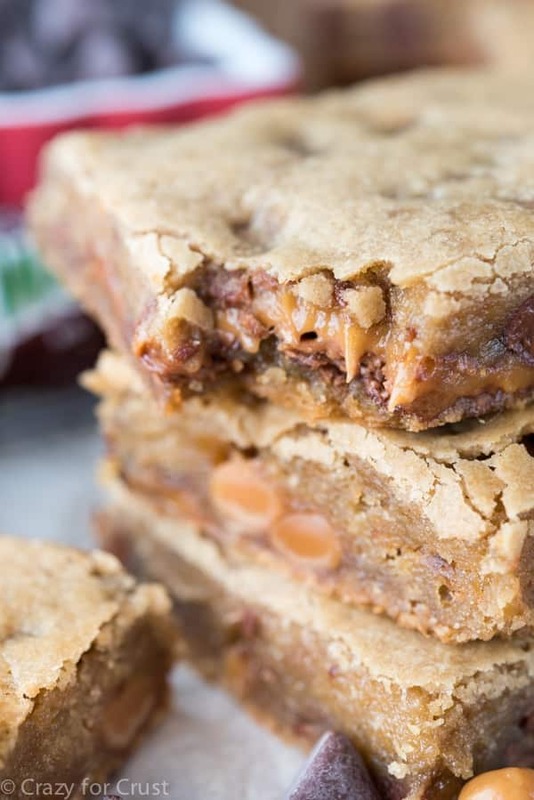 The caramel and chocolate give great texture to the bars, as well as flavor. Hello, Milky Way! The best part about this recipe is the variation you can use. Can’t find the caramel bits? Use more Milky Ways. Don’t like chocolate? Leave it out. Want peanut butter? Add some chopped peanut butter cups. Really, the sky is the limit. Add you favorite flavors! Any “chip”: chocolate, white, butterscotch, peanut butter, cinnamon. How will you make your bars? This is the BEST Blondie Recipe and the only one you'll ever need. 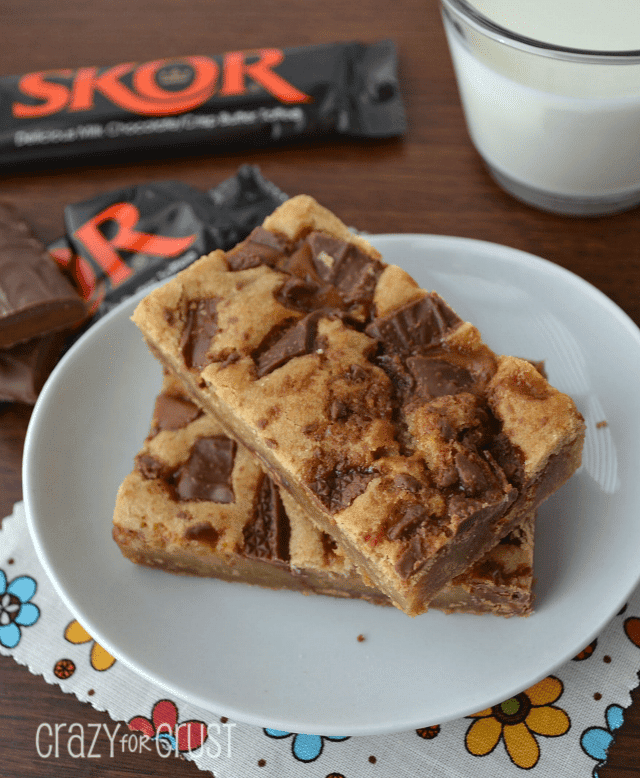 Make Milky Way Blondies or add your own candy to make your favorite bar cookie recipe! Stir in caramel bits, chocolate chips, and chopped Milky Way bars (see note). Bake for about 22-25 minutes. (Be careful not to overcook - the center will still be jiggly when you take these out of the oven and they will finish cooking and firming up as they cool.) Cool completely before slicing into squares. Store in an airtight container for up to 4 days or freeze for up to 3 months. I totally agree that you have to have some basics in your back pocket! I love how you took these to the next level and made them milky way! I am so glad my girls are not there quite yet as I’m so not good with handling a lot of drama! Boy I’m in trouble with 5 girls!!?? My birthday is in December, and I think I need you to plan MY party! With these AMAZING Milky Way treats – yowza!! Dorothy, it’s totally Taylor Swift nation. . she has like 49 MILLION followers on IG . . that says something. and the Taylor Swift birthday party and a Surprise Inside Cake with Taylor’s face inside?!!! Oh my gawd, you have to make that! and I have to see it! 🙂 anyway, yup I hear you. . it is certainly going to be a long 4 months. . eat more blondies! My hubby loves milky way bars. . maybe this will get him to organize the garage! 🙂 love these blondies! Wow, these look fabulous. Oh, and I know who Jordan takes after wanting to plan her party so soon…..ummmmm, check the mirror. these blondies are making it VERY hard to stick to my diet 🙁 and I cannot WAIT to see the TSwift party – that is going to be amazing!! These blondies make me want to lick my screen. I want some, please!!! That sounds like an epic birthday party! I made these this weekend and found the baking time to be way too short. Wish I had trusted my gut instead of the recipe. Had to throw the whole pan in the trash. What a waste! How long did you cook them for? I have made these blondies hundreds of time (with different mix ins and toppings) and always bake them for the same amount of time, 22-25 minutes. They continue baking as they cool and it is important for the recipe that they are somewhat under done. Once they get too done in the center they get dry, in my opinion. However, if you like your baked goods on the more done (sort of like rare vs. medium vs. well done in a steak) then, by all means, cook them longer. I have never once baked this recipe longer than 25 minutes. (You can see how gooey they should be from the photos.) That all being said, have you checked your oven temperature lately? Possibly the temp runs low, and then they would need to take longer. Also, if you ever get to the point where something is cooled and still not done to your liking, you can always pop it back into the oven for a few minutes. It won’t kill it and it’s better than throwing it away! I made these and my husband told me I never had to make anything other than these brownies. They are delicious!!! Really stupid question… If I don’t have the paddle attachment for my mixer, would it be better to mix by hand or to use the standard beaters with my mixer?